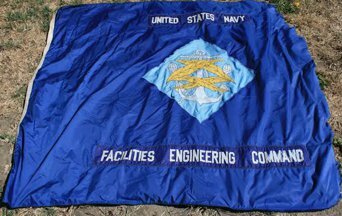 A blue flag, with the logo centered. The original flag was 4'x6', and has lost part of the fly end. It was used at Hunters Point Naval Shipyard in the 1970s.